Happy Valentine’s Day! I have been a busy bee in my stamping room getting goodies and cards ready for today. Here is a project I made for my husband’s coworkers. 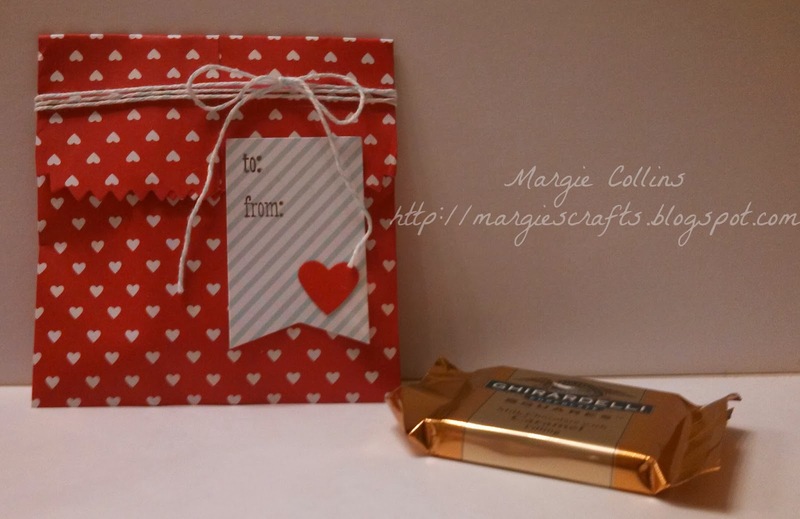 I loved the Sweetheart Treat Bags that Stampin’ Up! released. It was a kit that had everything you needed and I think they turned out really cute! I just added a couple Ghiradelhi squares to each one and used the Small Heart Punch with some Real Red cardstock to match. 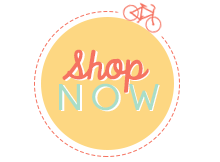 I stamped the “To From” on the banner using the stamp from the Tags 4 You set. Here is a picture of the treats that my daughter put together for her classmates at school. We used the cellophane bags and punched out different color hearts with the Full Heart Punch and used the same stamp from the Tags 4 You that I used in the project above. 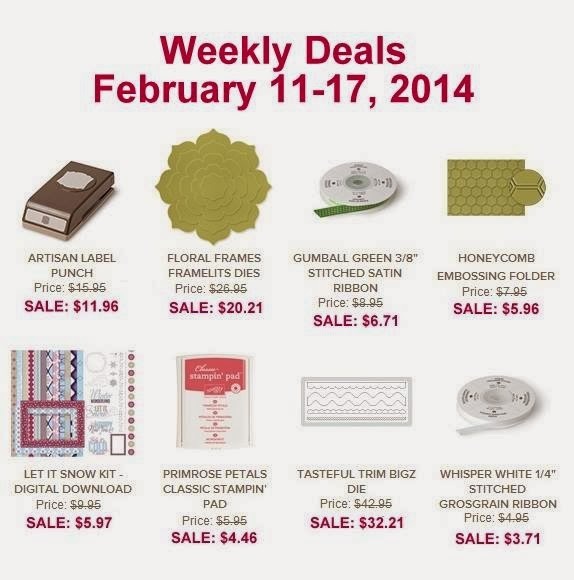 Don’t forget there are some GREAT weekly deals this week! Happy stamping!